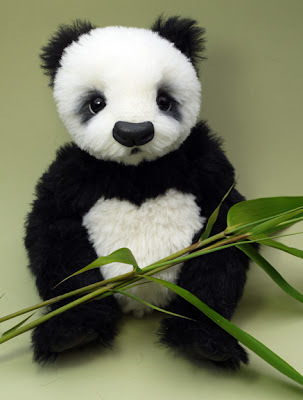 I have always loved pandas. They have a charm about them and their precarious survival situation adds a certain poignance to their appeal. 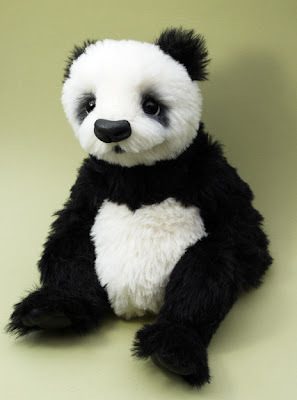 I haven't made a panda in over two years. I have a collection of prototype heads that are testiment to my inability to get the design right. They have been disasters, not fit to be seen. I can't say that I'm absolutely happy with my latest effort, but I think she is a step in the right direction. She is more teddy than panda, but she is a sweetie and has given me the confidence to go on experimenting until I get the appearance I'm looking for. She hasn't a name yet and will make an appearance at Hugglets in September. I managed to finish my first bear for Hugglets last night. His head pattern is different from my usual bears. I shortened the muzzle and enlarged the dome of his head for a younger appearance. His name is Julius and he is made from Helmbold tipped alpaca. He has 6 joints, including a double-neck joint. His has pulled toes made from black leather. His arms are wired for additional posability and he is quite a heavy chap, being stuffed with Bouncifill and plastic beads. Hope you like him. 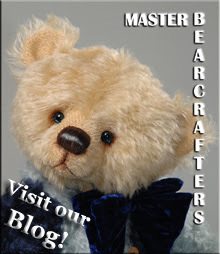 I normally make one bear at a time...from start to finish. 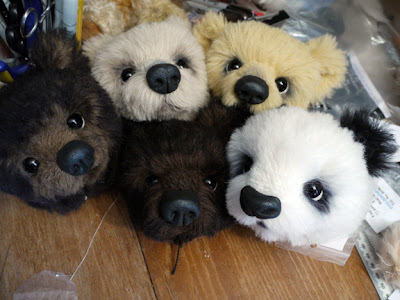 With only about 6 weeks to go until Hugglets, and not having any realistic bears made, I thought I would try to create the bear heads first. I takes me about 8 to 10 hours to complete a head with double-neck joint. Sometimes it takes longer. I'm not convinced that this method will be more efficient...or how I will feel having to sew and stuff five bodies on the trot! Still, it's fun to see those little faces watching me on from my work table. I have just heard that I have a table at Hugglets on Sunday, September 11th. This will be my first time as an exhibitor there, although I have been a regular visitor over the past four years. I feel excited, but daunted too. So, no time for blogging...must get designing and making! I did think I had until the British Bear Fair in November to get ready. It's a good thing Tuesday was my last day in school until September 2nd. No rest for the wicked! The Teddies on Parade Online Show is now on! 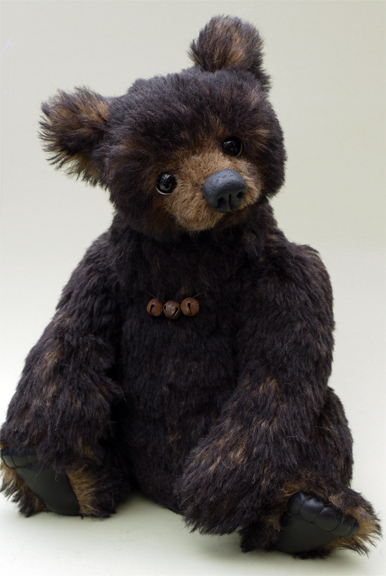 There are 75 bear artists with lovely bears available for adoption until Sunday evening. If you would like to take a look, click on the show link to the right of this post. 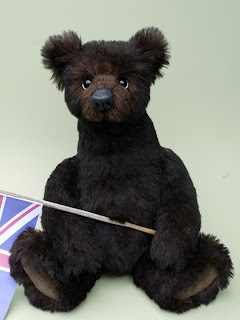 Thank you to the collectors who liked the bears enough to adopt them. 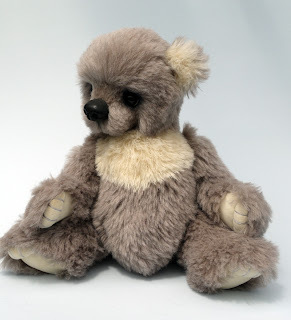 As I write this, there are three more Teddybuys bears still looking for homes. 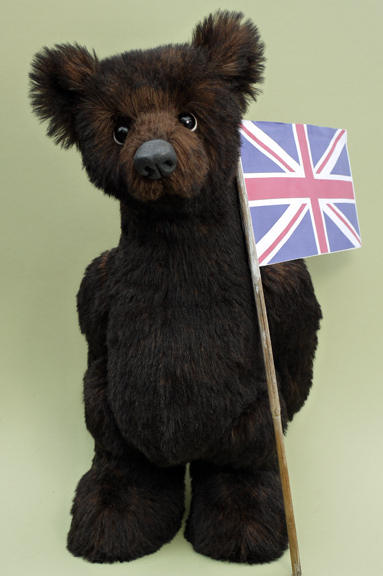 The preview of 75 bear artist bears for the Teddies on Parade online show has now begun! We are only allowed to show you one bear prior to the show opening on July 15th. Yours truly has five bears ready for the show. I just need to photograph them and prepare my show page. Benjamin - ready to go on parade! He is about 18 inches tall and made from a gorgeous, soft Schulte alpaca which is dark brown with an even darker tip. 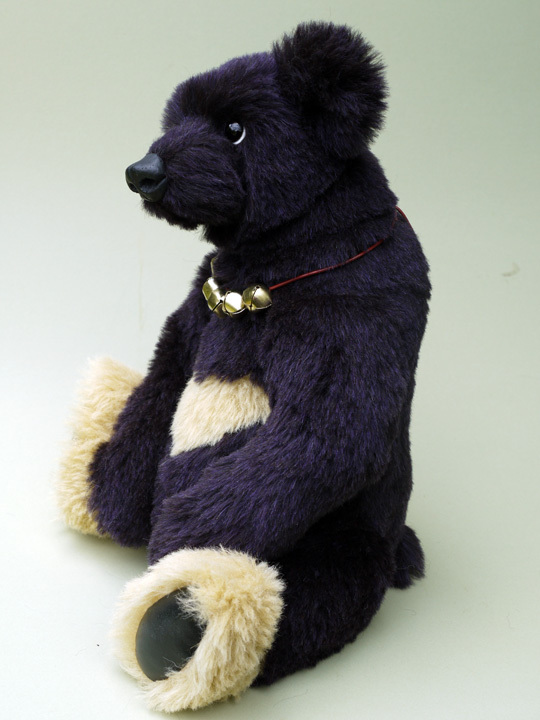 He has 6 joints including a double-neck joint, hand-moulded nose and cashmere paw pads. To see all the other lovely preview bears, click on the Bears on Parade banner on this page.